Wrist Bp app sencor SBD 1680 Digital Prices In Pakistan is the top first suggested deceive by doctors and pharmacists for clinically-exact home blood pressure monitoring. It is used for 40 years that why it’s called the world’s number one sensor. Heart Zone Regulation supports guarantee reliably perfect readings by initiating the monitor when your wrist is at heart level. The ultra-silent inflation makes you enable to measurements to be occupied quietly anyplace. 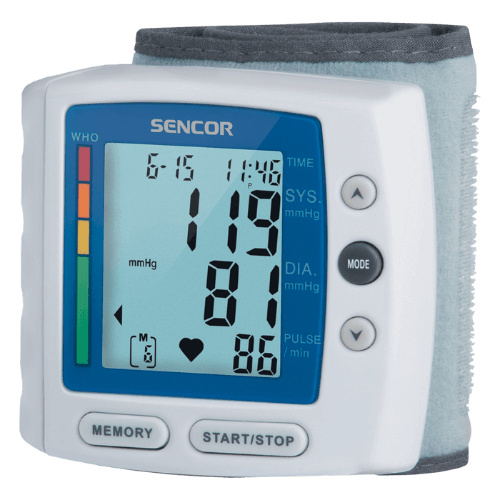 Wrist Bp app sencor SBD 1680 Digital Instantly alerts you to uneven heartbeats and results in outer normal blood pressure range. It contains B.P app SBD 1680 Digital display with 99.9% accurate result. You can use easily at home that makes it best.